Airman Michael Reginald Gibson is expected to have no one at his graveside service next week in Abilene. The public is encouraged to attend. 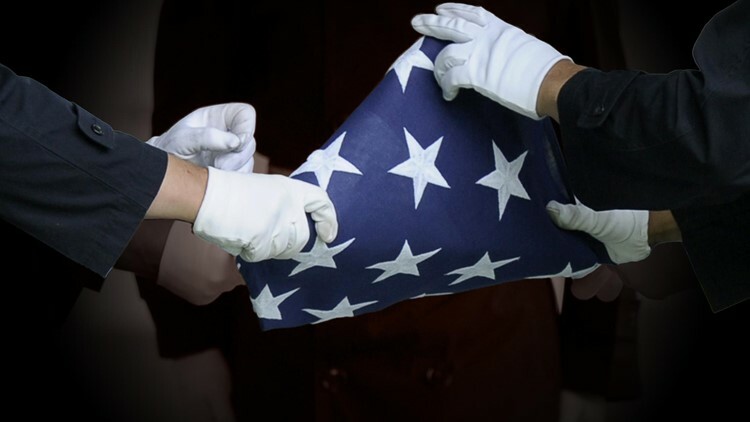 ABILENE, Texas — The Abilene community is being called to arms for the graveside service of an unaccompanied veteran next week. At 11 a.m. April 9, a burial for Airman Michael Reginald Gibson is planned in the Texas State Veterans Cemetery at Abilene. Gibson served in the United States Air Force from 1978 to 1979. Gibson is not expected to have anyone attend his funeral. Members of the Abilene community are being encouraged to attend Gibson's burial so that he is "not buried alone." Cemetery staff coordinated with Dyess Air Force Base to ensure Gibson receives military honors. If no next-of-kin presents themselves at the ceremony, the on-site representative of the Veterans Land Board will accept the United States flag on Gibson’s behalf. The Texas Veterans Land Board works with the Dyess AFB Casualty Office to ensure that "NO Veteran is EVER left behind."